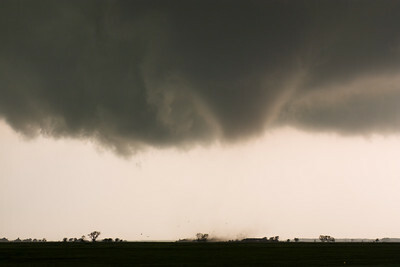 A violent EF4 wedge tornado hurls debris across the rolling hills northeast of Abilene, KS, on May 25, 2016. 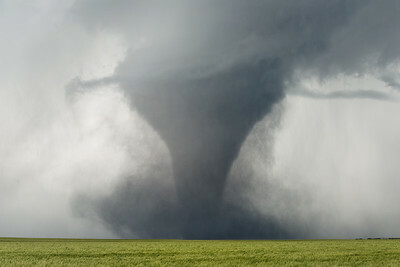 A violent but beautiful tornado churns up debris and terrorizes the remote area south of Dodge City, KS, on May 24, 2016. 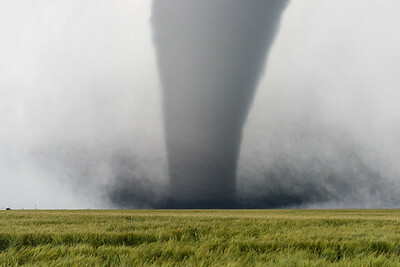 A violent stovepipe tornado (left), along with a smaller rope tornado (right), loom large over wheat fields south of Dodge City, KS, on May 24, 2016. 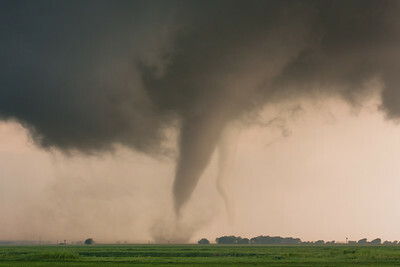 A strong, long-lived tornado churns across open fields near Ensign, KS, on May 24, 2016. 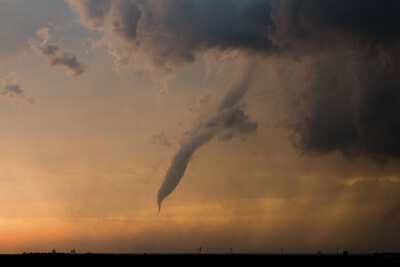 A cone tornado dances in front of the setting sun near Woodward, OK, on May 23, 2016. 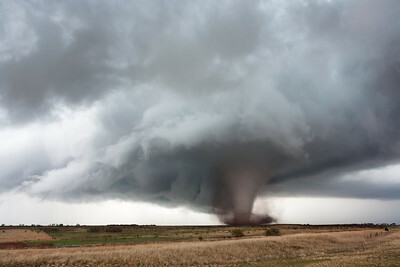 More than 20 minutes into its life cycle, a violent tornado near Katie, OK, begins to contract in size on May 9, 2016. 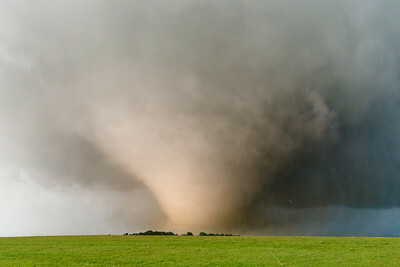 A frontlit view of the violent, destructive tornado near Katie, OK, on May 9, 2016. 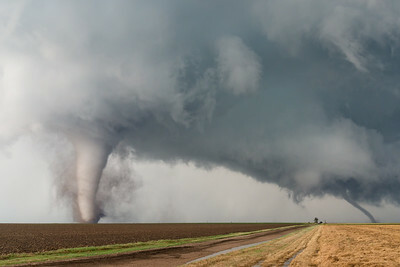 A multiple vortex tornado ravages the countryside near Katie, OK, on May 9, 2016, tossing debris thousands of feet into the air. 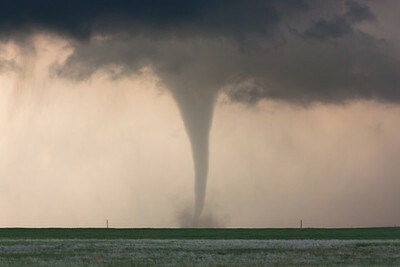 A large tornado churns across the High Plains of eastern Colorado near Stratton on June 5, 2015. 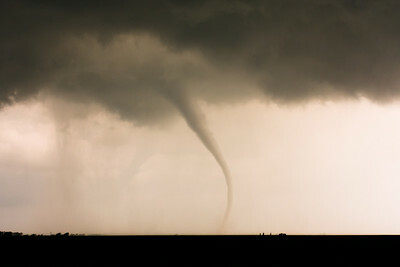 A strong tornado near Canadian, TX, begins to contract in size after earlier reaching a maximum width of over half a mile. 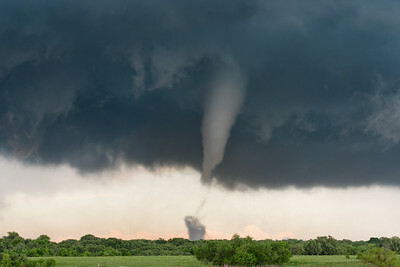 Just after 5pm on May 27, 2015. 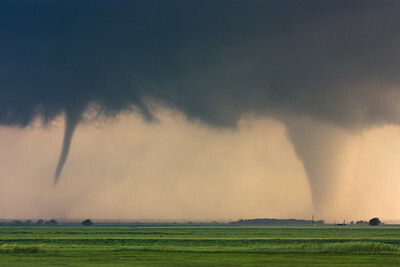 Twin tornadoes ravage the area near Pilger, NE, on June 16, 2014. 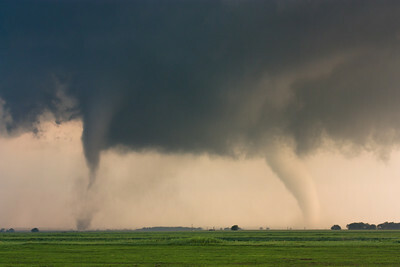 Both tornadoes were rated EF-4, and unfortunately one resulted in fatalities. 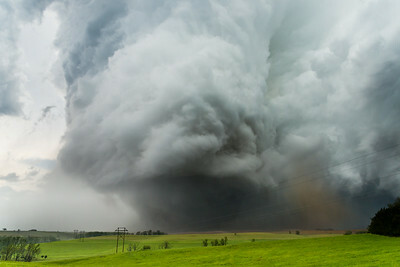 A violent EF-4 wedge tornado churns across the rolling hills north of Stanton, NE, on June 16, 2014. 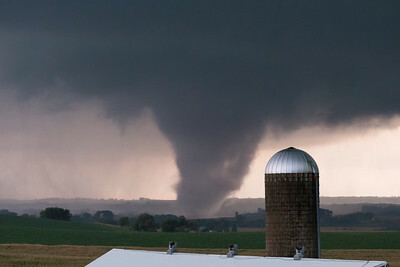 A violent tornado rips trees from the ground near Climbing Hill, IA, on October 4, 2013. 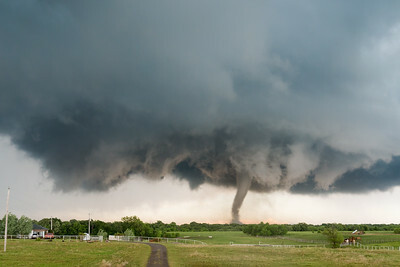 This tornado soon grew to 1.5 miles wide and was rated EF-4. 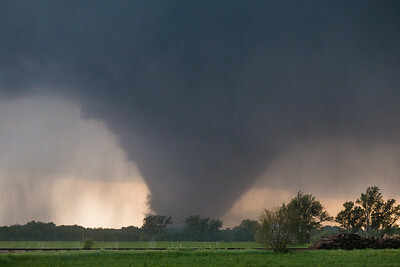 A violent wedge tornado churns just west of Bennington, KS, on May 28, 2013. 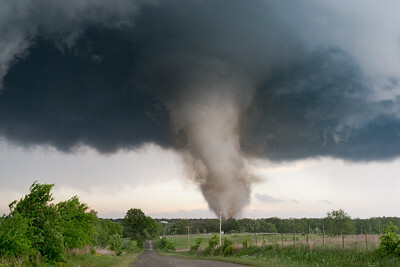 Mobile doppler radar measured winds in excess of 200 mph within this vortex. 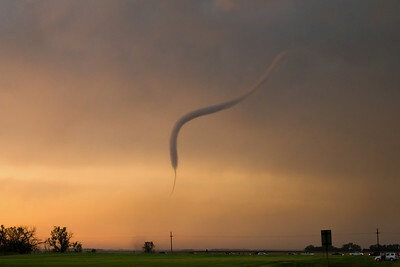 A tornado near Sanford, KS, briefly takes on a rare appearance in which the condensation funnel is truncated at both the top and bottom. 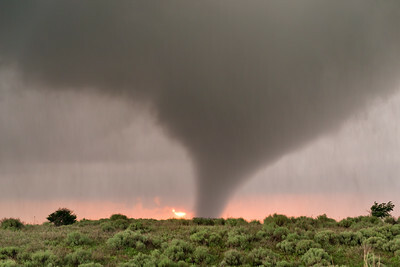 Shot at sunset on May 18, 2013. 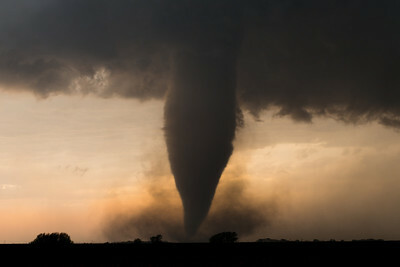 A classic cone tornado near Sanford, KS, takes on brilliant hues as the sun sets on May 18, 2013. 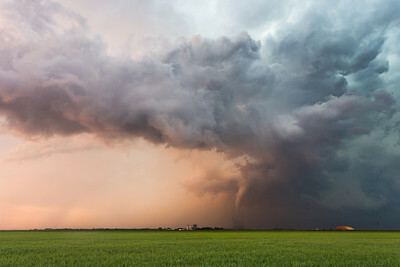 A tornado dissipates near Rozel, KS, at sunset on May 18, 2013. 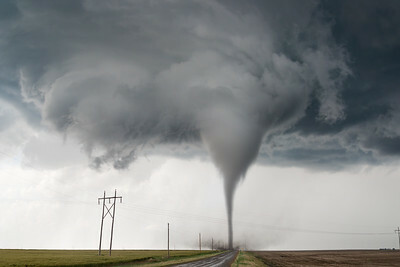 An exceptionally photogenic tornado approaches the town of Rozel, KS, on May 18, 2013. 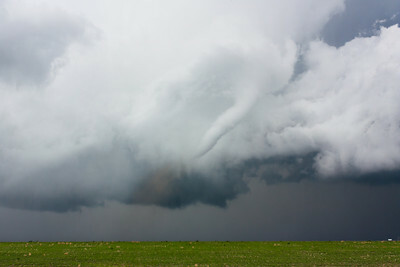 An exceptionally photogenic tornado churns near Rozel, KS, on May 18, 2013, surrounded by a dry rear-flank downdraft. 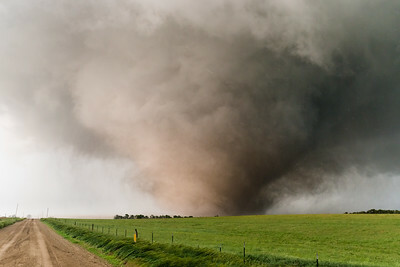 An exceptionally photogenic tornado touches down near Rozel, KS, on May 18, 2013. 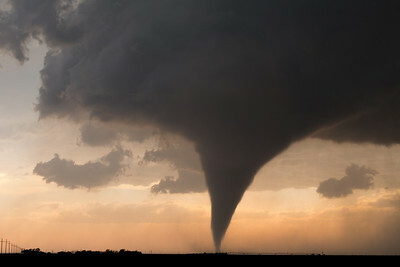 A truncated cone tornado destroys a barn just west of Cherokee, OK, on April 14, 2012. 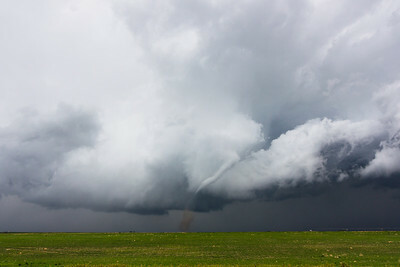 A classic "elephant trunk" tornado ropes out with deceptive grace west of Cherokee, OK, on April 14, 2012. 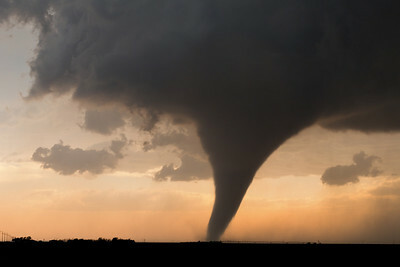 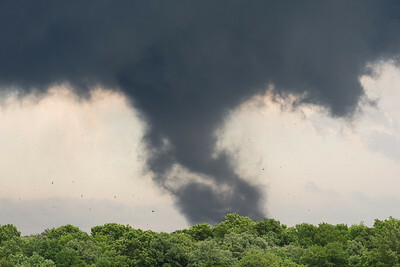 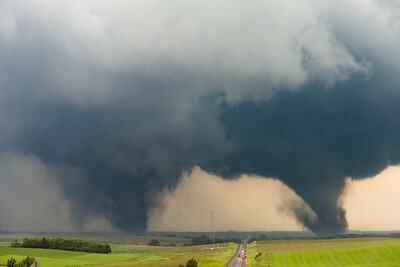 Twin tornadoes ravage open fields west of Cherokee, OK, during the major tornado outbreak of April 14, 2012. 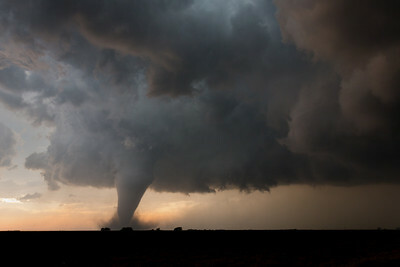 A wedge tornado touches down at sunset near Fort Cobb, OK, on November 7, 2011. 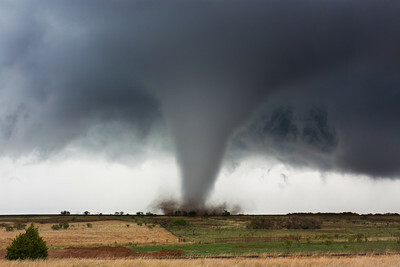 Double disaster: a strong tornado plows over a section of the Wichita Mountains in Oklahoma on November 7, 2011, that had been charred by wildfires only months earlier. 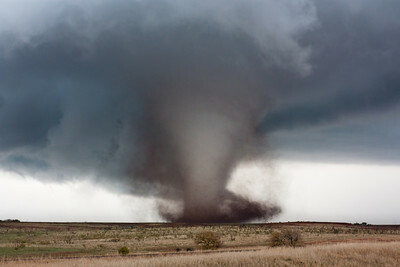 Just before dissipating, the Manitou, OK, tornado of November 7, 2011, exposes its intense core circulation. 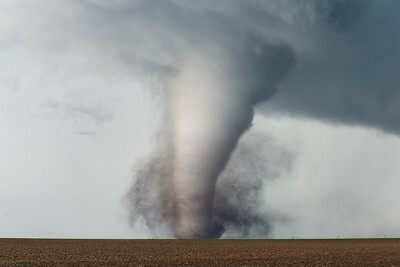 The dissipation phase of a tornado's life cycle is often called "roping out," and this is one of the most visually impressive examples storm chasers have seen in recent years! 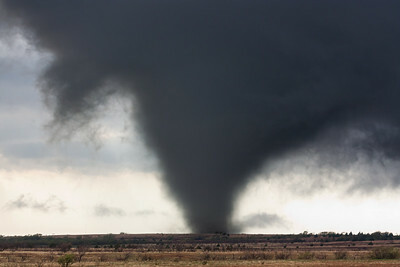 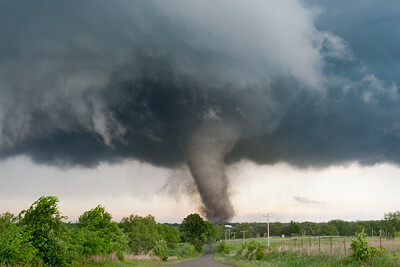 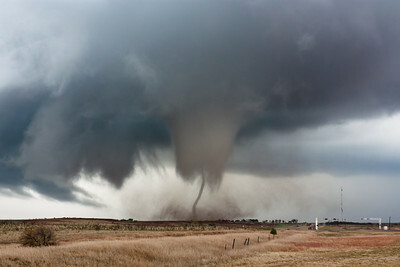 A powerful tornado unearths major dirt and debris over open country near Manitou, OK, on November 7, 2011. 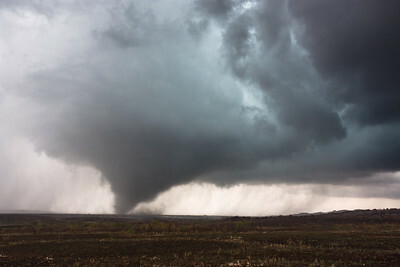 The beginning stages of a strong, long-track tornado near Manitou, OK, on the afternoon of November 7, 2011. 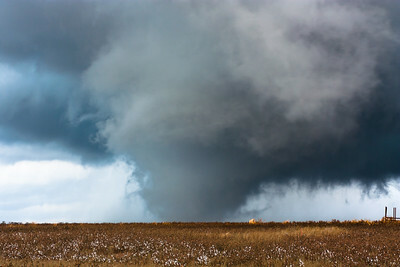 A prolific supercell's last gasp: as the long-track storm, which produced over a dozen tornadoes in Kansas, finally begins to dissipate in Nebraska, a weak cone tornado passes harmlessly over open fields. 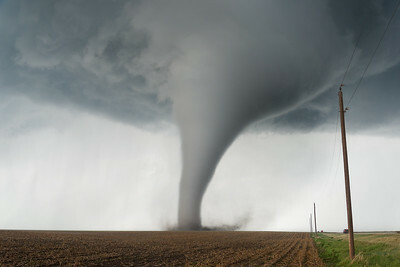 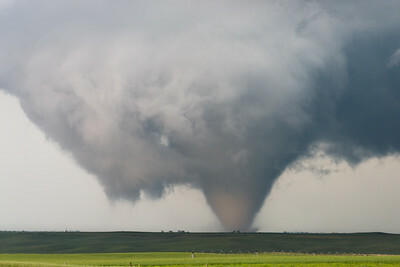 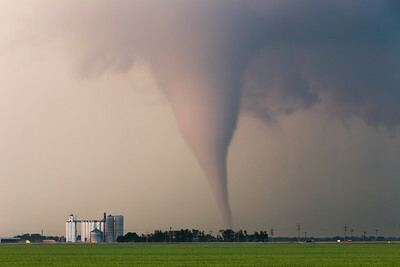 Shot near Mascot, NE, on June 20, 2011. 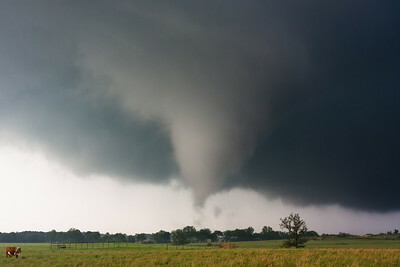 A cow looks on as a cone tornado touches down near Hickory, OK, on May 21, 2011. 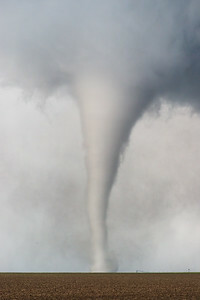 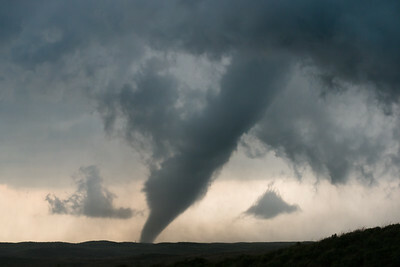 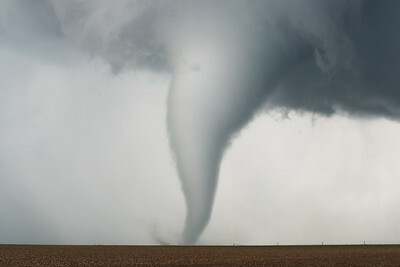 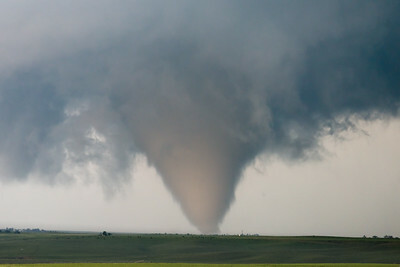 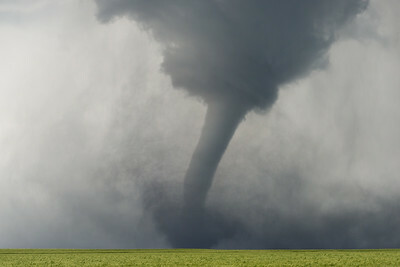 A slender tornado kicks up dust and debris near Last Chance, CO, on June 10, 2010.